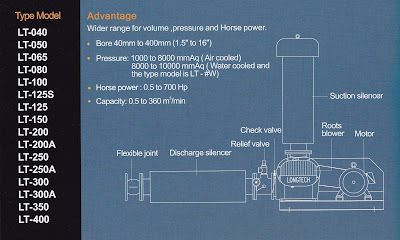 Our three-lobe design controls backflow pressure towards the rotor so as to reduce energy consumption. Pressure pulses are the major noise source of blowers. Our new design can effectively reduce noise by approximately 5 dB. Fewer vibrations transmitted through the lobe increases bearing life by approximately 20%. Conventional blowers generate pressure pulses and vibrations which will diminish the power and shorten the life of every bearing, gear and other drive train components.